Mr. Sanders absolutely loves Kahoot and does not hesitate to encourage his fellow teachers to use it. 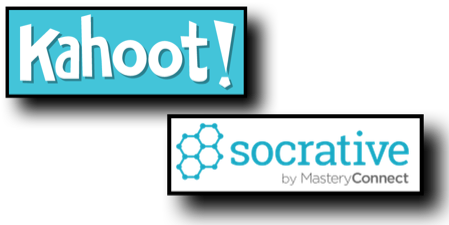 Kahoot, like socrative allows teachers to be more efficient because there are pre loaded quizzes for teacher-student use. Kahoot is a cool community as the quizzes are loaded by other users. Like socrative, kahoot gives instant feedback to students. Teachers are also able to use the data collected by kahoot and organize it into different spreadsheets. This can be a useful tool for teachers who look to convey a certain message to their students that can be aided by kahoot. I see Kahoot as being a great tool for review as well as different types of informal formative assessment.